Cohabitation can come with plenty of challenges and furniture shopping is one of the big ones. Not only are you negotiating different tastes in décor, but if there are children and pets in the home, there are the practicalities of family life to consider too. If the mere thought of furniture shopping with your partner leaves you cold, you’re not alone. In a recent american survey*, 25 percent of the respondents said that furniture shopping with their partner makes them irritable. One in five said they bicker over furniture styles, while another 20 percent get snarky about the overall colour scheme. Fifteen percent find it so frustrating that they actively avoid going to the furniture store at all. The good news is there is a solution. It’s less stressful than a divorce, more convenient than counselling and could turn out to be quite fun. Best of all, you’re sure to end up with a stylish interior space thanks to furniture that works for your home, decor and lifestyle. Karen Robinson, Interior Consultant, Bauhaus explains. “It’s not uncommon for couples to disagree over furniture. Perhaps he wants a butter-soft tan leather sofa and she’s arguing that it won’t be practical with the kids. Or she thinks a chair will be imposing in the bedroom, but he really wants a place to sit to put on his shoes. 1. Don’t rush the process. 2. Come back to the store prepared. 3. Get both partners involved. In most relationships, one partner will dictate the design decisions, but it’s important that everybody gets to have their say. “There can be conflict when couples are choosing furniture, which is why a third party can be so valuable. It’s important that both partners are invited to share their perspectives – that way everyone feels validated and that their opinion has been heard,” says Karen. 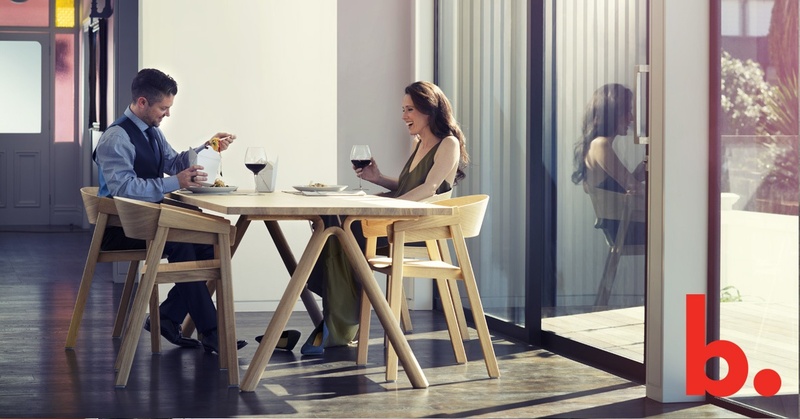 If couples are really struggling to agree, then compromise is key to a harmonious furniture shopping experience. “Couples need to have a clear idea about what their ideal space looks and feels like, and then we can work with them to find furniture that fits the personalities and lifestyle needs of both parties,” explains Karen. If you’re looking for expert advice on finding the perfect contemporary furniture for your home, call us (09) 302 2651 to arrange free expert advice in-store with our design consultant service. If you're after an Interior Design service that goes beyond furniture, ask to be put in touch with one of our Bauhaus Platinum Designers. *A survey of 2,000 Americans, commissioned by the furniture company Article.